I know you may barely be able to keep your jeans organized by color, but if there’s one thing you’re going to need to fund college through scholarships, it’s organization. I did it through Excel spreadsheets, but you can do it in any way that fits you: spiral notebooks, three-ring binders, Word documents, scrapbooks, smoke signals. If this is you, you might want to change your game plan for scholarships. Just sayin'. What are some things you might want to track? Start with scholarship names, college expenses, and references. After all, the more organized you are, the less time you’ll have to spend searching for and applying for scholarships. 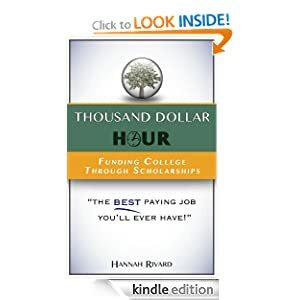 And the less time you spend, the better return on your investment you’ll have—and the closer you’ll be to making $1,000 an hour and funding college through scholarships!